Shelby Walker knows how to plan ahead. In fact, she’s made a career of it. A 2003 alumna of the Ph.D. program at VIMS, Walker is now the Strategic Planning Team Lead for the Office of Policy, Planning, and Evaluation within NOAA’s Office of Oceanic and Atmospheric Research. Only 8 years after graduating, Walker has managed to acquire a wealth of experience and expertise in strategically planning future research initiatives. Walker is no stranger to the planning and management of groundbreaking research. Since her departure from VIMS, she has continued to add one prestigious position after another to her résumé. 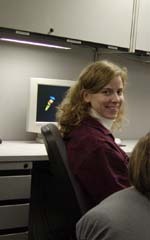 Before joining NOAA in 2009, Walker served as the Associate Program Director for the National Science Foundation’s Ocean Technology and Interdisciplinary Coordination Program, where she worked on launching NSF’s Ocean Observatory Initiative—a project that she fondly recalls as the biggest accomplishment in her professional career. “Moving the OOI from the planning stage to actually getting it approved and ultimately getting it launched was huge for me,” says Walker. 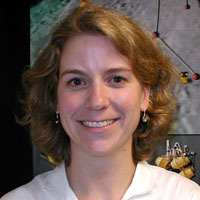 Prior to her work at NSF, Walker served as Project Manager for the Joint Subcommittee on Ocean Science and Technology (JSOST)—a body of 25 federal agencies that is responsible for creating a national strategy for ocean research, and for developing the technology needed to do move that research forward. Before working at JSOST, Walker completed a National Research Council post-doctoral research associateship at the Naval Research Laboratory—a position she began following her service as a John A. Knauss Fellow in Washington D.C. While at VIMS, Walker studied organic contaminants in highly industrialized urban estuaries. Having recently served on a detail to the Gulf Coast Ecosystem Restoration Task Force as one of the Science Coordination Team Leads following the Deepwater Horizon Oil Spill in 2010, her knowledge of environmental contaminants was put to work. Walker and Dickhut’s research mainly focused on the geochemistry of organic contaminants, which led them to collaborate on a number of publications while Walker pursued her doctorate. “Even though Rebecca is gone, she was a huge influence on my work and my ability to grow as a scientist,” says Walker. Originally from Cape Cod, Massachusetts, Walker developed a love for marine science by growing up in such close proximity to the ocean. After graduating from Wesleyan University in Connecticut, she spent 3 years working in environmental consulting, where she acquired the interest in environmental contaminants that eventually brought her to VIMS.